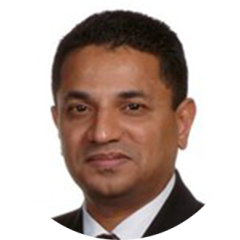 Dr. Nibu Varguise received his Bachelor of Dental Surgery in 1994 and Masters (Prosthodontics) in 1999 from India. After more than a year of teaching Dentistry in India, he moved to Kuwait to join the Ministry of Health as a Prosthodontist. During his time in Kuwait, Dr. Varguise was also a Clinical Tutor for the Kuwait program of MFDRCSI Diploma (Ireland). After more than 10 years of practice in Kuwait, Dr. Varguise and his family moved to Toronto where he obtained his Doctor of Dental Surgery degree from the University of Toronto in 2013. On graduation Dr. Varguise recieved 3 awards from the university of Toronto.